Tickets go on general sale from 9am Friday 6th March. 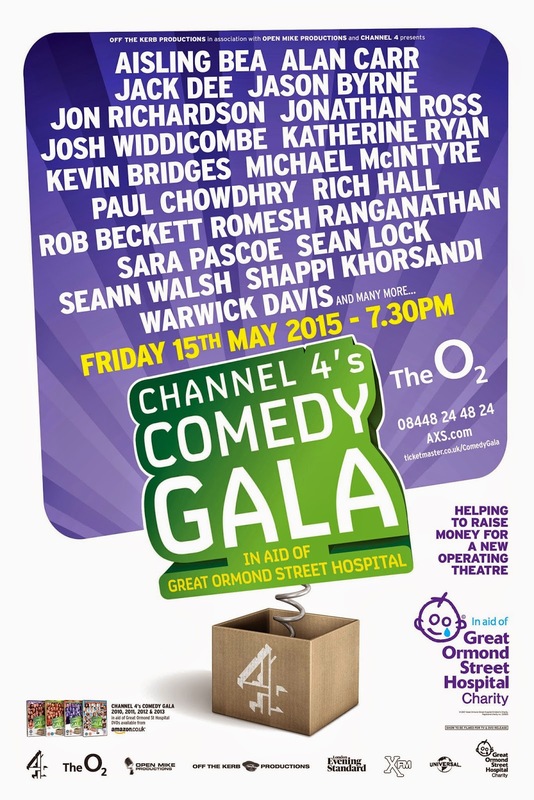 ‘Channel 4’s Comedy Gala Live At The O2’ in aid of Great Ormond Street Hospital Children’s Charity returns for a sixth year to London’s O2 arena, the world famous entertainment venue. The amazing all star line up confirmed for the biggest annual comedy event of the year so far includes: Aisling Bea, Alan Carr, Jack Dee, Jason Byrne, Jonathan Ross, Jon Richardson, Josh Widdicombe, Katherine Ryan, Kevin Bridges, Michael McIntyre, Paul Chowdhry, Rich Hall, Rob Beckett, Romesh Ranganathan, Sara Pascoe, Sean Lock , Seann Walsh, Shappi Khorsandi, Warwick Davis with many more to be announced.